Brilliant tips and tricks for nurses to make work more efficient. 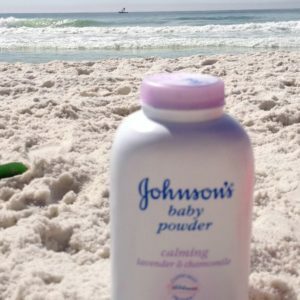 Nurse life hacks you should know! Nursing is a tough job and apparently, there are no shortcuts to providing good and quality care. However, this doesn’t mean we can’t make our lives easier while doing our job. 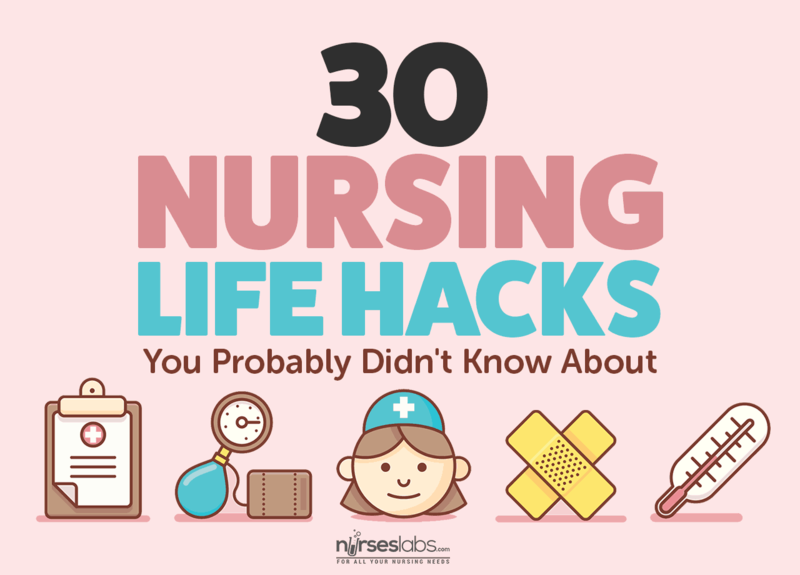 Here’s a list of nurse life hacks that can show you exactly how. 1. Go slow when you prime your IV. 2. Use gauze to prevent hair pulling when using a tourniquet. The friction a tourniquet creates against hair can be painful to patients. To address this, try placing a thin sheet of gauze in between the tourniquet and your patient’s skin. For this nurse life hack, fold a washcloth and tuck it under the front of the bedside commode seat to prevent pinching. While we technically have no problem seeing blood, having them on our white uniform or your favorite scrub suit is a different story. Instead of wearing blood stains as your battle mark the entire shift, you can apply a few drops of hydrogen peroxide as a stain remover! Nifty nurse life hack! 5. Didn’t hit the mark? Try double insertion of Foley catheters. Missing the mark isn’t only common to new nurses. The truth is, whether you’re a veteran or not, we’ve all had our fair share of the experience. When inserting a foley cath to a female patient and you fail to get a return, leave the first catheter in place and try the same procedure with another Foley catheter, aiming higher this time. Powder a bedpan before you put a patient on it for easier evacuation; especially useful for obese patients. 7. Does the patient have needle phobia? As a form of distraction, let the patient wiggle his toes to divert his attention to it. Tie a clean glove or tourniquet to the bottom of the IV pull and hang the Foley there. 10. Try the triple gloving method when handling code brown. This nurse life hack doesn’t only save time, but it also limits the chances of your bare hands getting in contact directly with your client’s excretions. The first pair of gloves is meant for cleaning your patient’s poop. Strip the first pair and work with your second pair of gloves when putting on his new diaper. Take the second pair off and use the remaining pair of gloves on your hands in placing a fresh sheet on his bed and in disposing of waste. Not just once but thrice! 11. Can’t stand the smell? Add grounded coffee beans in your station. Coffee powder is a good odor neutralizer, whether it’s coming from your emesis basin or a whole room. To do this trick, you can just put a small container filled with grounded coffee beans right at the center of the area. 12. Use alcohol swabs if you’re feeling nauseous. You can swipe an alcohol swab under your nose for instant relief from nausea. You can also use this trick if you’re suffering from sinus pain. 13. 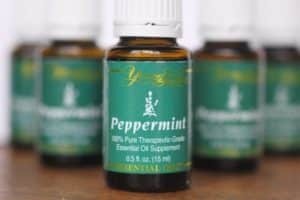 Put peppermint oil in your mask for stinky situations. Grab two masks and smear toothpaste on the inside of the second mask. This helps you tolerate the smell and stops from getting toothpaste or peppermint oil in your face or mustache. 15. You can also use alcohol on matted hair. “If a hairbrush can’t get through my patient’s hair, I use a bit of alcohol to remove tangles. It works like a charm,” a veteran nurse shared. For this trick, you need to apply a few drops of alcohol on the area. The alcohol works by breaking any substance that’s causing the tangles. Make sure to gently but thoroughly rub it on the hair. 16. Try KY Jelly for dried blood. Aside from lubricating certain body parts, you can also use KY Jelly to remove dried blood stains from your patient’s skin. It lifts the blood off of the surface to make it easier to swipe with a cotton ball. 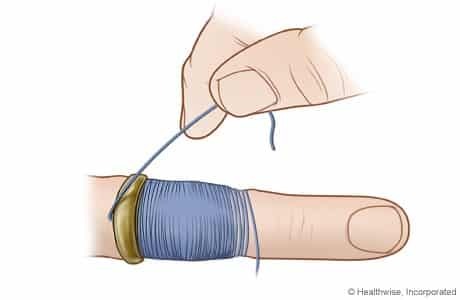 Make sure you’re still wearing your gloves while doing this trick and remember to wipe a good antiseptic on the area as well. In case you ran out of Kelly clamps, you can use a syringe barrel. 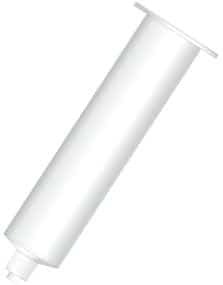 Just take the needle part off, pinch the tube between your thumb and index finger and insert it into the barrel. This is particularly helpful when your patient is on bladder training. 18. Avoid mess and dip to lube that Foley. Instead of squirting the lubricant from its syringe into your Foley, remove the plunger off and stick the tip of the Foley directly into the barrel. This gives you more control and a well lubricated Foley tip without the mess. 19. Give hovering and overly-involved family members a job to do. Families are often overwhelmed with the feeling of not being able to do anything, for this nurse life hack, involve them in patient care even with minimal tasks to help them feel like they’re participating. This is also an excellent way to establish rapport. 20. Place a urine bag before sticking a pediatric client. 21. Pause before leaving a room. Before you leave a room, take a few seconds to check to see if there’s anything else you need and can do at that moment. This is particularly useful if you’re gowned, saving you a few minutes by simply pausing. 22. On priming a new tubing. When you’re priming new tubing, clamp the tubing first, spike the bag, and slightly fill the chamber before priming. That’ll help prevent any air bubbles forming in the tubing. 23. Count the respirations when you’re taking a patient’s pulse. When you’re checking respirations on a patient, don’t tell them what you’re really doing. Instead, act like you’re assessing his pulse and count the respirations. If you tell them you’re counting their respiration, they’d be conscious and will immediately begin to breath more which will give you an inaccurate reading. Much better if you could place his arm across the chest so you can feel it’s rise and fall. When doing a skin assessment on a person with a bunch of wounds, bring another person with you to write each one down with measurements and what dressings you put on while you call them out on them. Doing so will prevent you the need to touch your pen and paper or regloving. 25. Shaving cream to remove stuck feces in body hair. If you have a patient with BM stuck in their body hair, lather the affected area with shaving cream then wipe it off with a wet cloth. It will come right off. 26. Removing rings with an elastic strap. Use an oxygen mask’s elastic strap to remove rings without cutting them off. Here’s a video on that technique. Nothing gives a jolt than a cold metal brushing through your skin. 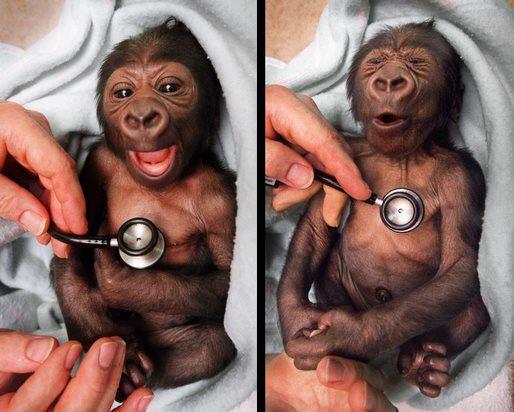 Warm your stethoscope by rubbing your hands together, the heat formed can be used to cup your stethoscope and warm them up. 28. Calm elderly or confused patients by giving them heated blankets. The feeling of warmth will relieve restlessness and keep them from roaming around or getting out of the bed. There will be a time you’ll need one so always keep another set of scrubs. 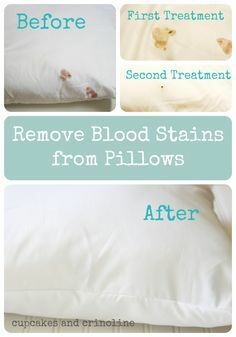 Place a sheet over the pillow and bed, use dry cloths with baby powder and the sand will be removed easily; roll up the sheet and remove. What other nurse life hacks can you share?